Petra Kvitova and Angelique Kerber were frustrated by rain before the two-time Wimbledon champion sealed a late-night victory in Sydney. Petra Kvitova ended Angelique Kerber's reign as Sydney International champion with a straight-sets quarter-final victory, while Alize Cornet is the only seed in the last four of the Hobart International. Kvitova and Kerber had claimed six wins apiece in their previous 12 meetings and it was the fifth seed who edged in front in the head-to-head with a 6-4 6-1 win on Thursday following frustrating rain delays. 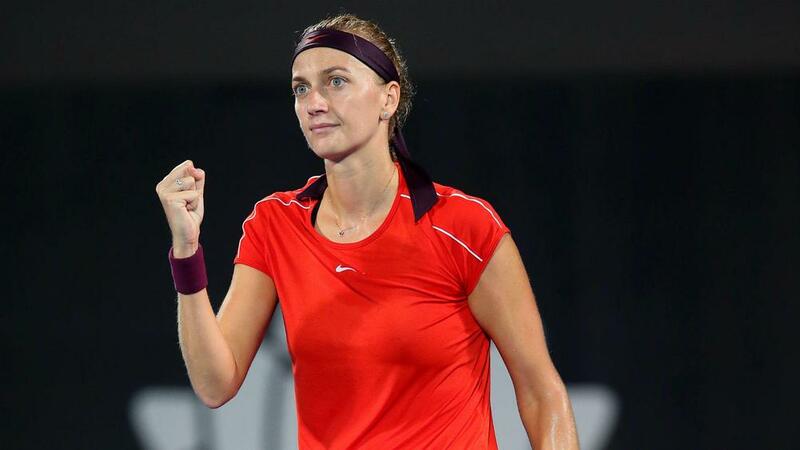 Two-time Wimbledon champion Kvitova claimed five titles to return to the top 10 in the rankings last year and looks in good shape to make her presence felt at the Australian Open after toppling Kerber in impressive fashion. Kerber claimed the first break after two early stoppages due to the weather, but Kvitova rallied to win four games in a row and take the opening set. The Czech will take on qualifier Aliaksandra Sasnovich in the last four after breaking her fellow left-hander twice in the second set to seal a late-night victory at around 11.30pm local time. Sasnovich also advanced in straight sets, seeing off Timea Bacsinszky 6-3 6-3. Home hope Ashleigh Barty followed up her win over world number one Simona Halep by taking out 10th seed Elise Mertens 6-3 6-3 and will play seventh seed Kiki Bertens, who lost only four games in a defeat of Yulia Putintseva. Simply unstoppable 👊@Petra_Kvitova knocks out the defending champion Angelique Kerber 6-4 6-1 to reach her fourth #SydneyTennis semifinal. Sofia Kenin spoiled Kirsten Flipkens' 33rd birthday in Hobart, beating the seventh seed 7-5 7-5. Kenin, who upset top seed Caroline Garcia in the first round, will come up against Cornet in the last four after the sixth seed saw off Greet Minnen 6-1 6-4. Anna Karolina Schmiedlova and Belinda Bencic will contest the other semi-final following straight-sets victories over Irina-Camelia Begu and Dayana Yastremska respectively.